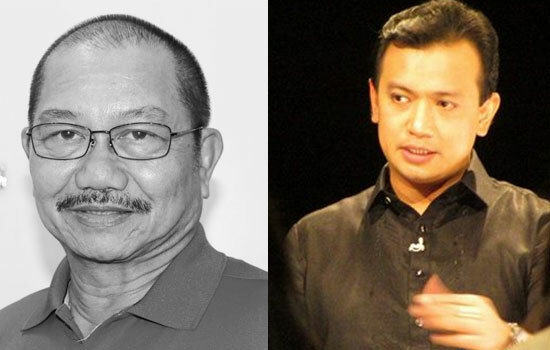 The former Governor of North Cotabato and now a political and sports columnist shared the important information about the 'DIRTY TRICKS' plans of Duterte's opponents. Manny Piñol posted on his official Facebook account the verified report of bombing the MAGDALO headquarters. According to Piñol, the report was relayed to him and the bombing is planned to be undertaken today or tomorrow. Manny posted this story on Tuesday, May 3. It's either late today or early tomorrow morning as part of a dirty tricks effort. There is a verified report relayed to me that after the failed black propaganda efforts against leading presidential candidate Rody Duterte, a group of dirty tricks operators will undertake the bombing of the Magdalo headquarters either late today or early tomorrow morning as part of a dirty tricks effort. The bombing has been planned to create the impression that the Duterte group is composed of hot-headed members capable of employing terrorism to support their candidate. An intelligence report forwarded to me a few minutes ago by former military men associated with Senator Antonio Trillanes said the bombing is planned to be undertaken today or tomorrow. The information said two men riding tandem in a motorcycle will pass by the Magdalo headquarters where Trillanes will be holding a press conference and lob a grenade. "You have to reveal this information otherwise the Duterte camp will once again be blamed for this act of terrorism," the informant told me. The bombing was hatched after the black propaganda campaign against Duterte, including allegations that he kept hundreds of millions in accounts with the Bank of Philippine Islands, were proven to be false. Trillanes has earlier charged that Duterte was keeping accounts with the BPI with an estimated P211-M.
BPI officials, however, informed Duterte's lawyer Salvador Panelo yesterday that there is no P211-M deposited in Duterte's accounts and that bank records showed that there has never been any deposit in that amount since the accounts were opened years ago. BPI officials also denied that the documents brandished by Trillanes during a press conference last week listing hundreds of millions in deposits in the alleged accounts of Duterte came from the bank. They added the the Trillanes papers were not bank documents. What do you think on this report? You may use the comment box below and share your thoughts and feeling about the story. Comments or suggestions about "Flash Report: A planned to 'BOMB the Magdalo Headquaters' by Manny Piñol" is important to us, you may share it by using the comment box below.